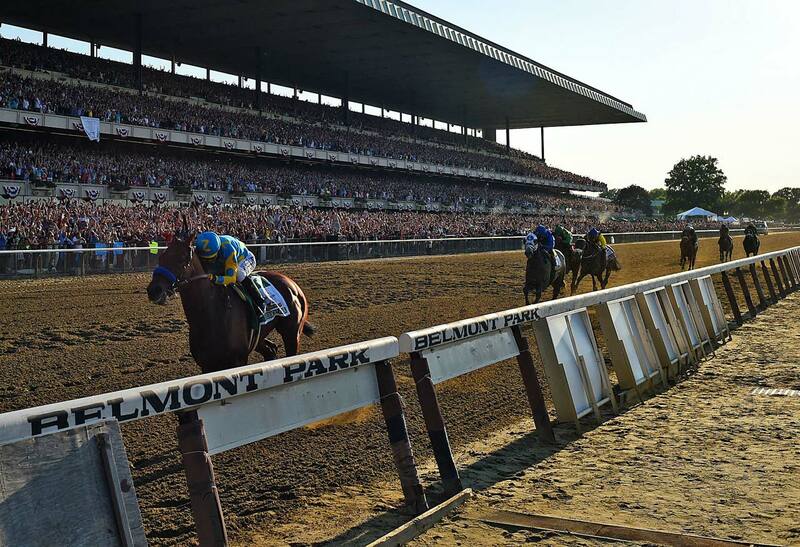 American Pharoah led all the way in winning the Belmont Stakes by 5 1/2 lengths, becoming the first horse since 1978 to sweep the Kentucky Derby, Preakness and Belmont Stakes--one of the sporting world's rarest feats. 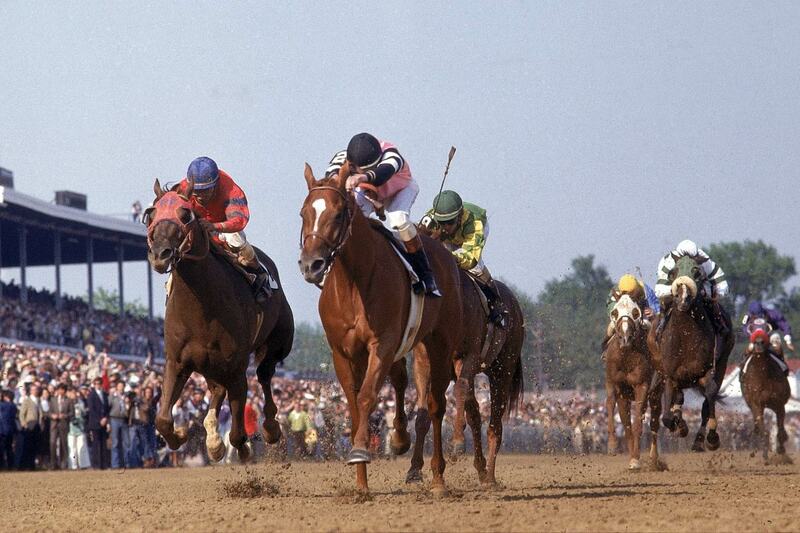 The great-great grandson of Triple Crown winner War Admiral, Affirmed battled with Alydar in all three races, beating his rival by 1 1/2 lengths in the Derby, a neck in the Preakness, and a nose in the Belmont. 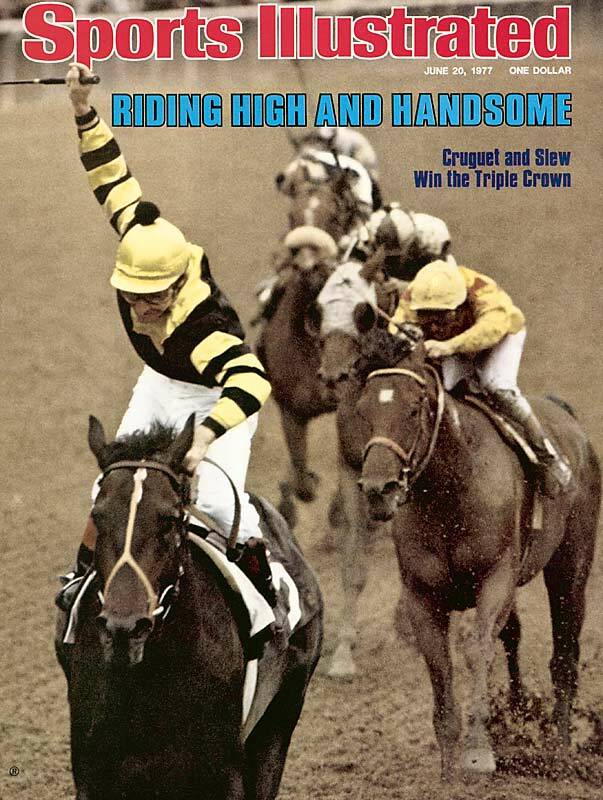 Seattle Slew was the first to win the Triple Crown with an undefeated record, and was the last living Triple Crown winner when he died in 2002. 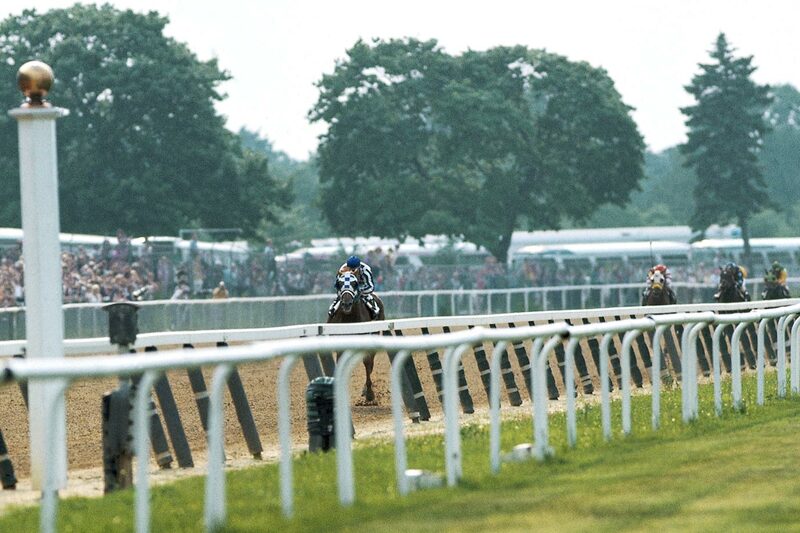 The first athlete to appear on the cover of Time, Newsweek, and Sports Illustrated in the same week, Secretariat ran the fastest Kentucky Derby ever and won the Belmont Stakes by a record 31 lengths to break a 25-year drought of Triple Crown winners, the longest before the current 35-year streak. 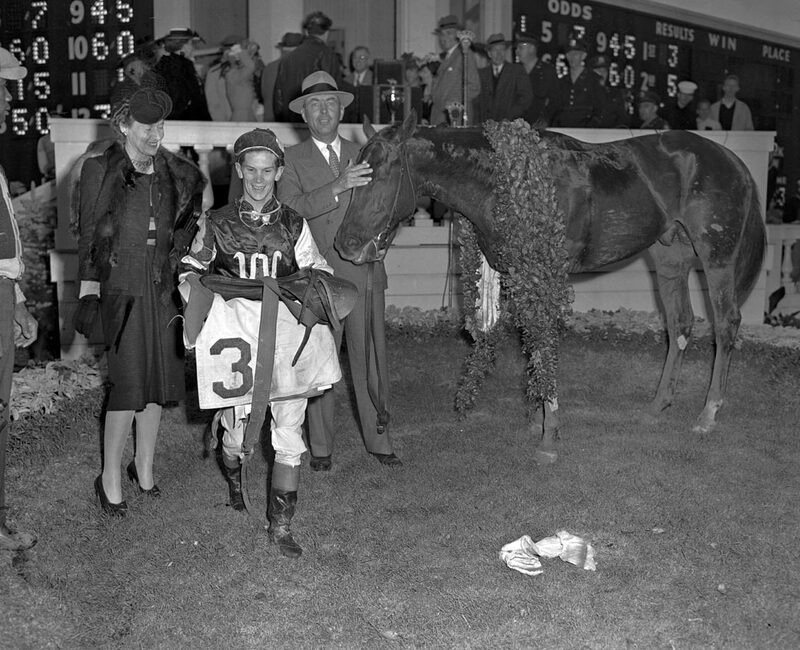 Eddie Arcaro became the first and only jockey to win two Triple Crowns (he won in 1941 with Whirlaway) after winning all three races by more than three lengths and tying the then-Belmont Stakes record of 2:28.2. 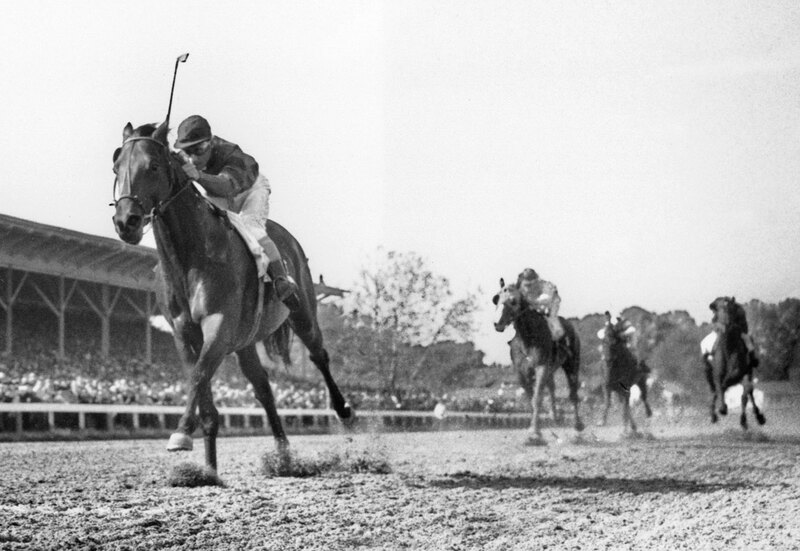 Despite a deformed right hoof and noticeable limp, earning him the nickname "The Clubfooted Comet," Assault came from five lengths back in the stretch to win the Belmont, and the Triple Crown, by three lengths. 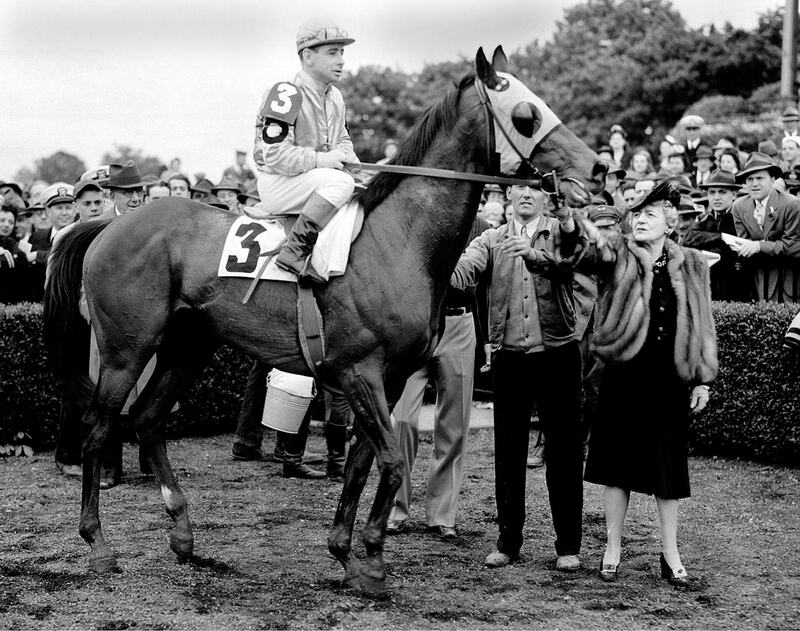 Count Fleet was known for blowing away his competition and winning with ease, including a track record 25 lengths victory at the Belmont. 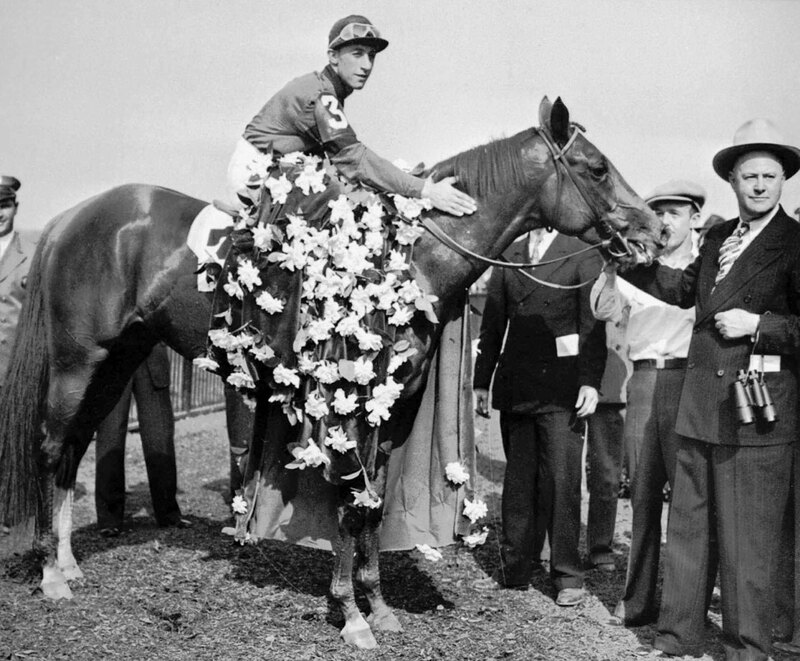 Known for his dramatic victories, Whirlaway began races slowly, but finished with sudden outbursts of speed, shocking spectators in all three of the Triple Crown races and eventually finishing with more than $500,000 in career winnings. 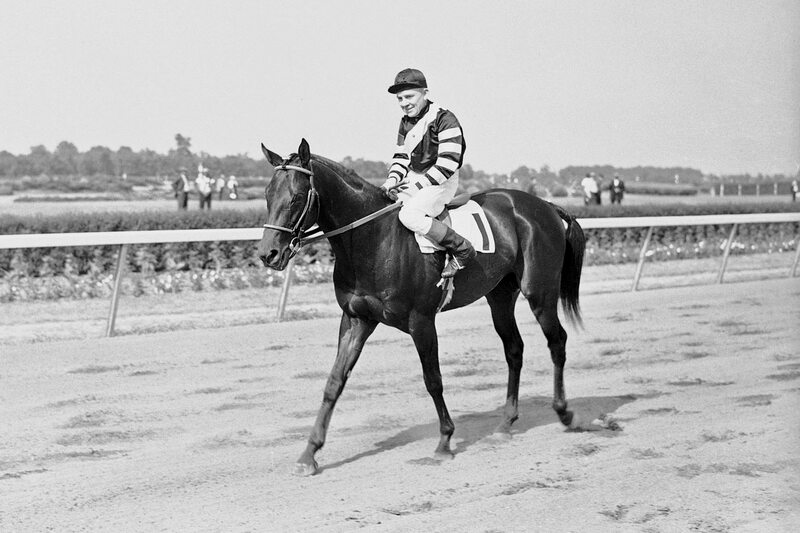 War Admiral, son of what many consider the greatest Thoroughbred racehorse of all time, Man o' War, won an impressive 21 of 26 starts, just behind rival Seabiscuit. 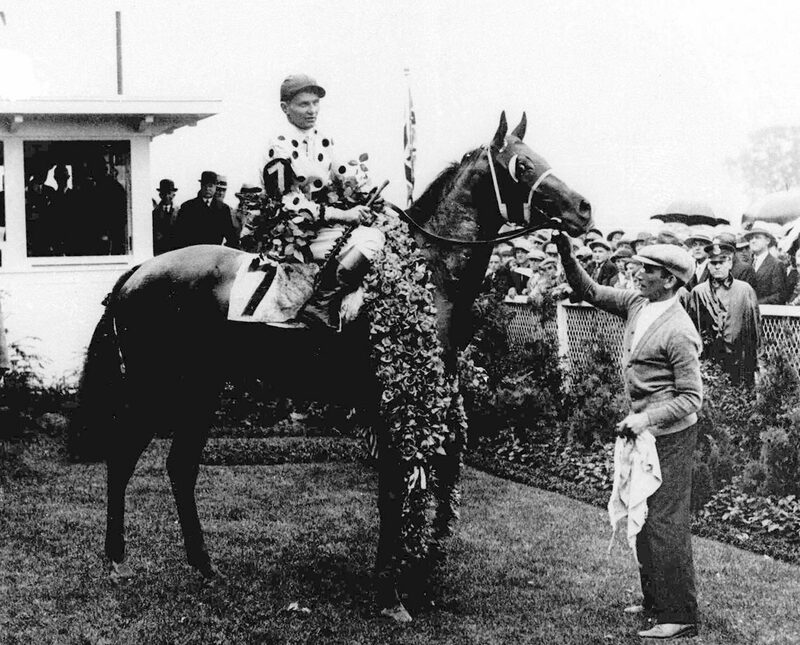 Although he only won one race as a two-year old, the son of Gallant Fox lived up to expectations the following year. French-bred Gallant Fox became the second U.S. 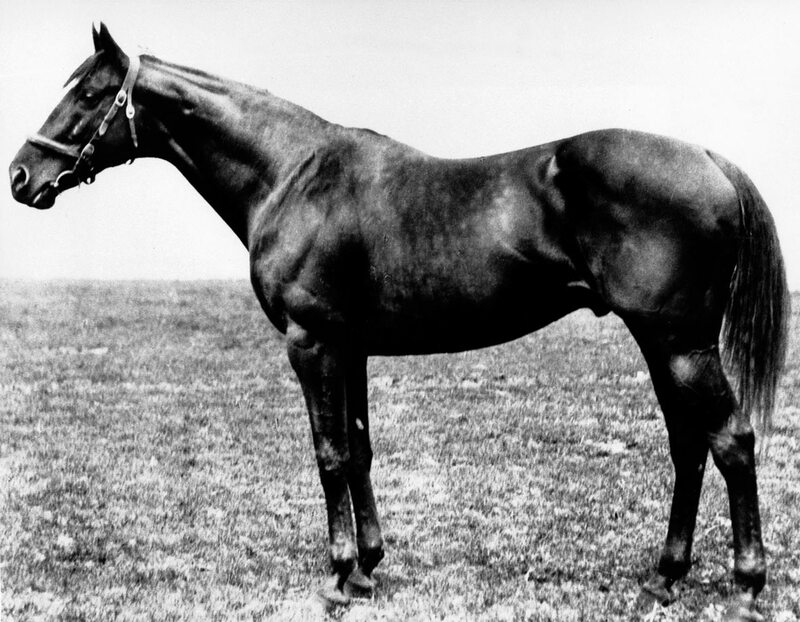 Triple Crown winner and first to sire a second generation Triple Crown champion, Omaha, ultimately leading to an increased popularity of European racehorses. Ridden by Johnny Loftus, Sir Barton was the first to win the Kentucky Derby, Preakness Stakes and Belmont Stakes in the same year. 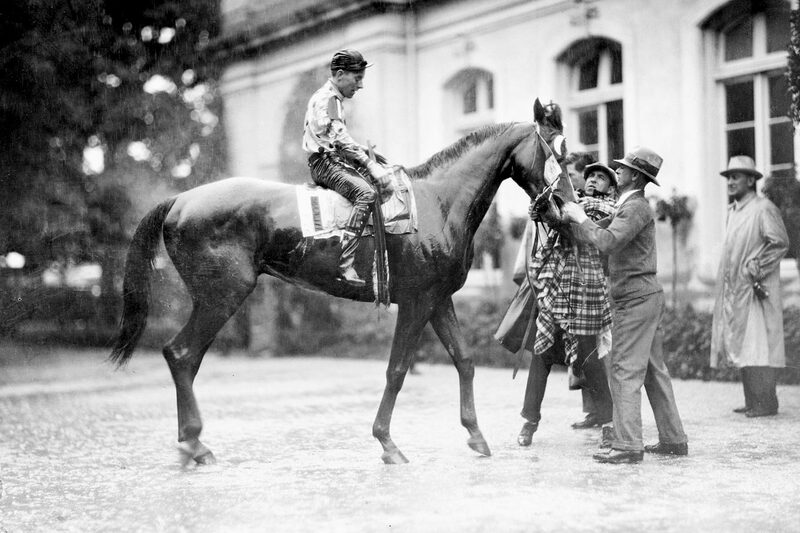 The formal name of Triple Crown wasn't used until 1930.